Disneyland has dumped the holiday overlay for the Jungle Cruise this year, but fortunately, The DIS is happy to report that the Jingle Cruise will return to Adventureland at the Magic Kingdom in Walt Disney World on November 2, 2017! 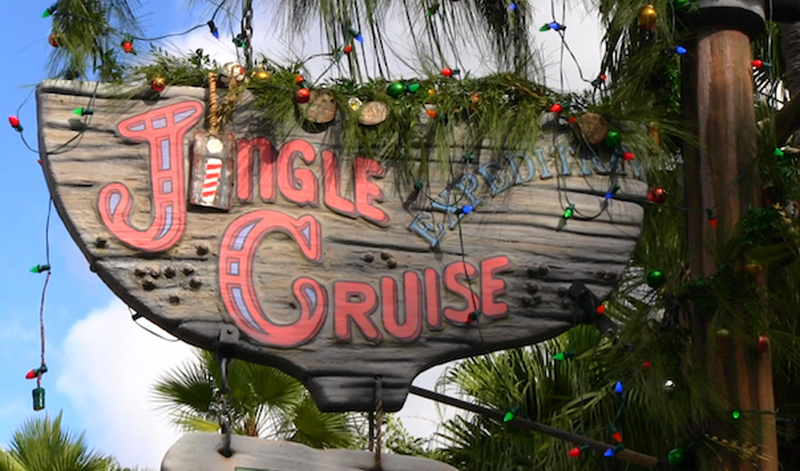 The Jingle Cruise holiday overlay provides a classic holiday spin on the iconic attraction. Christmas decorations fill both the attraction and queue, the cast members are adorned with Jungle themed Santa hats, and of course, the entire spiel is changed to heavily feature corny Christmas and holiday-themed jokes. The Jingle Cruise has been an annual tradition since 2013 in the Magic Kingdom, but there was some concern that the holiday overlay would not be returning after Disneyland decided to drop the same yearly tradition.